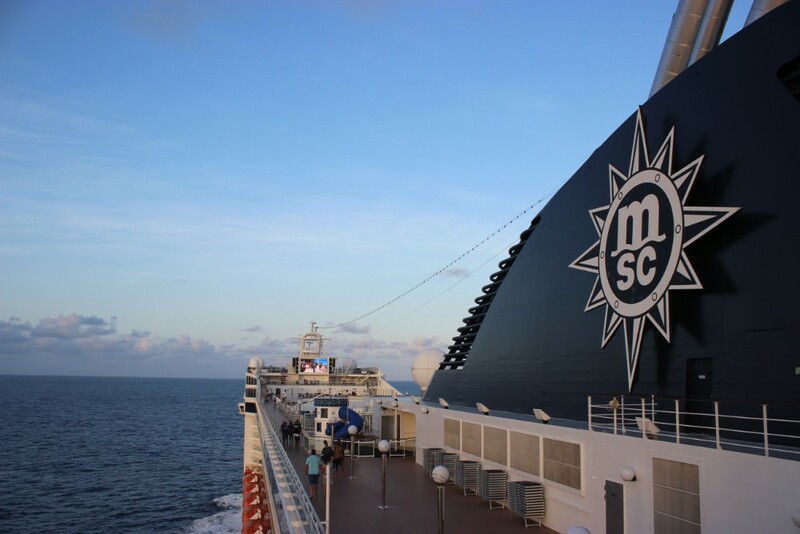 A few years ago I was lucky enough to enjoy a 3 day cruise to the exotic Portuguese Islands in Mozambique on board the MSC Sinfonia. 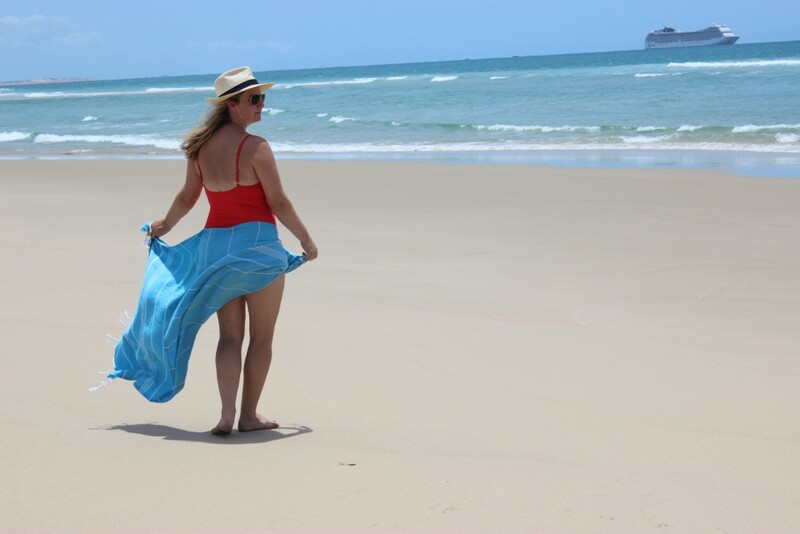 This memorable trip was one I did with my husband and we loved discovering the secrets of Portuguese Island and the local lifestyle of Inhaca Island We made incredible memories of walks along deserted beaches lapped by azure water, conversations with locals, relaxation time spent in the on board spa and watching electric storms at sea from the safety of our balcony! 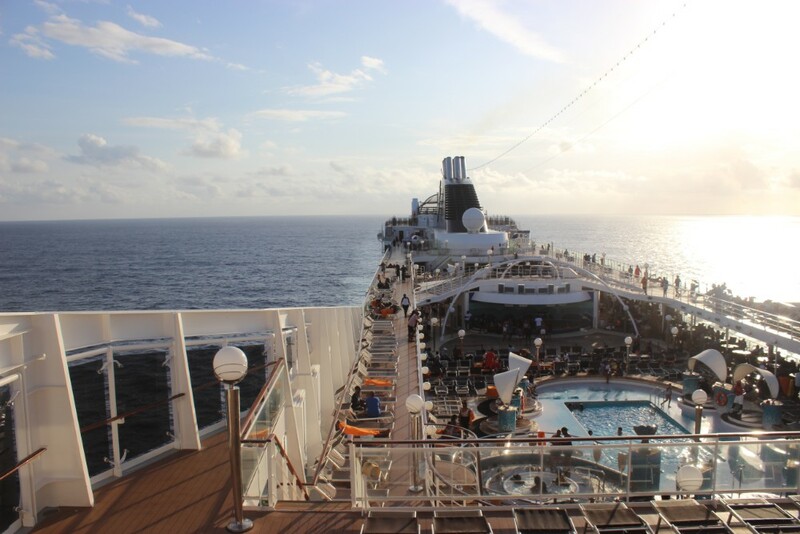 This was the very first cruise I had ever embarked on and it was a treat…. 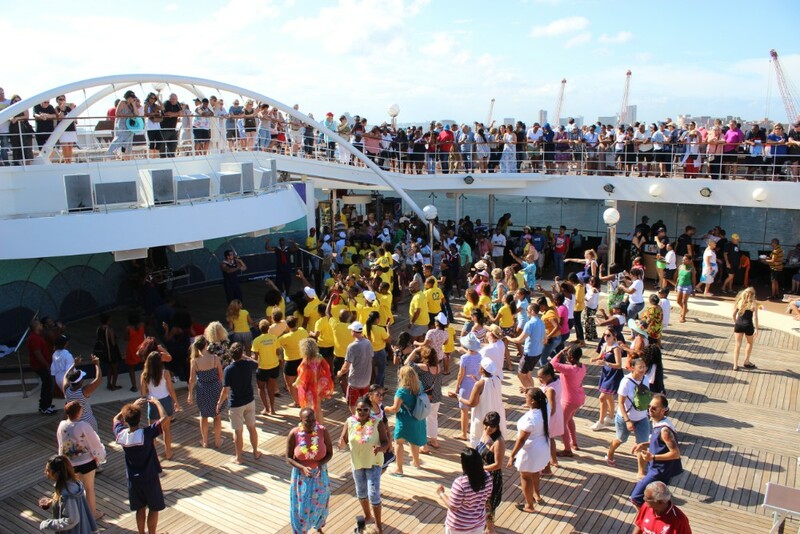 so when another invite arrived in my inbox from MSC I jumped at the chance to recreate these special memories on board a new ship and heading to a different destination along the Mozambican shoreline…. except that this time my husband declined my offer. Yes, he refused to join me for a week sans kids on board a luxury cruise liner enjoying endless cocktails. I settled on asking my mom. She hadn’t had a holiday in years, decades in fact! Her last holiday was in 2007 when we took her on a trip down to East London to visit old friends. The last time she flew in a plane was in 1992, the last time she used her passport was in 1982. This was HUGE. My mother, being my mother, declined my offer too. Seriously! I had to phone her back and convince her that an all expenses paid trip (I would cover her costs) was something you ALWAYS said yes to. 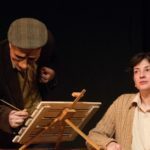 She dithered a while longer before a reassuring phone call with a friend convinced her to overcome her fears (and there were many), leave my dad for a week, pack a bag and board a plane. Just getting her to make this decision felt like a leap forward for this otherwise rather indecisive mother of mine. With an affirmative answer it was time to get organised and this meant an early start at the Home Affairs queue to apply for her first passport since I was a dependent on her passport. (Yes, they used to do that!) The person at the counter couldn’t believe she still had this relic. Another 2 weeks of complete stress and terror followed. We were at the mercy of Home Affairs, waiting and waiting and waiting for any sort of sign of life… in the form of an sms notification to confirm her passport was ready. I was a nervous wreck. Phoning daily to track its progress across the country. The problem was that time was not on our side. 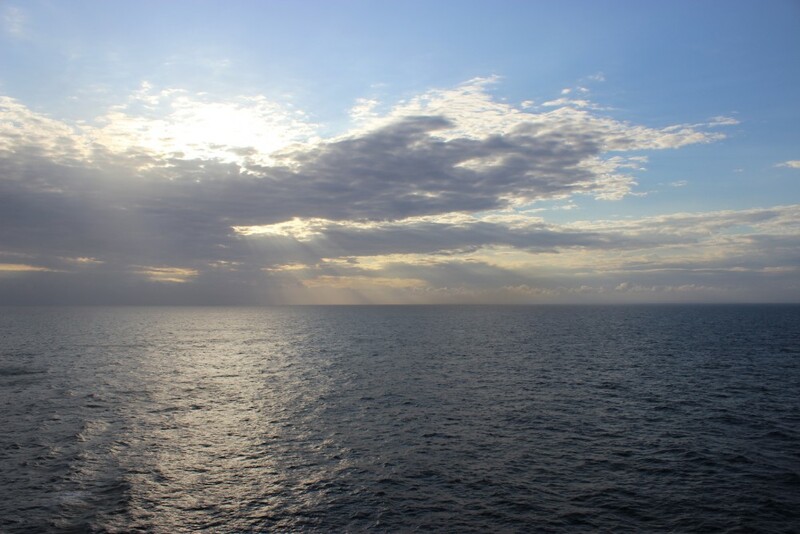 My invite had come fairly last minute, my husband had delayed proceedings as had my mom, and then we ended up with exactly 3 weeks before boarding… and we needed a passport number to confirm her place on the boat a week before that. Timing was tight! I handed it over and trusted that God wouldn’t have allowed me to come this far, wouldn’t have tempted me with this incredible opportunity to bless my mom without having a plan. And He did. The passport was collected the Wednesday before our Monday morning departure. By the skin of our teeth!!! 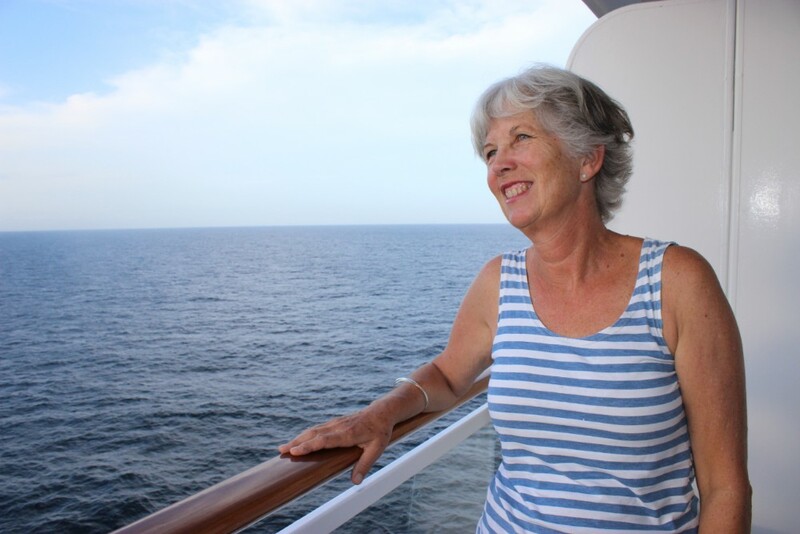 And that is where my mom’s string of firsts began… I had no idea at the time that this trip would become her “coming of age” experience with a list of firsts to fill a book! We started with her first UBER ride. She was entirely fascinated by the experience of using an app to catch a ride. Then it was time to check in at the airport. She hadn’t done this in a while and her nerves were palpable. Thinking I had done her a favour I checked her in for a window seat…. but she couldn’t cope with looking out the window for the majority of the flight, preferring to keep her window blind closed!!! Just before landing I suggested she try again and this time she was able to look out at the clouds, but not down! 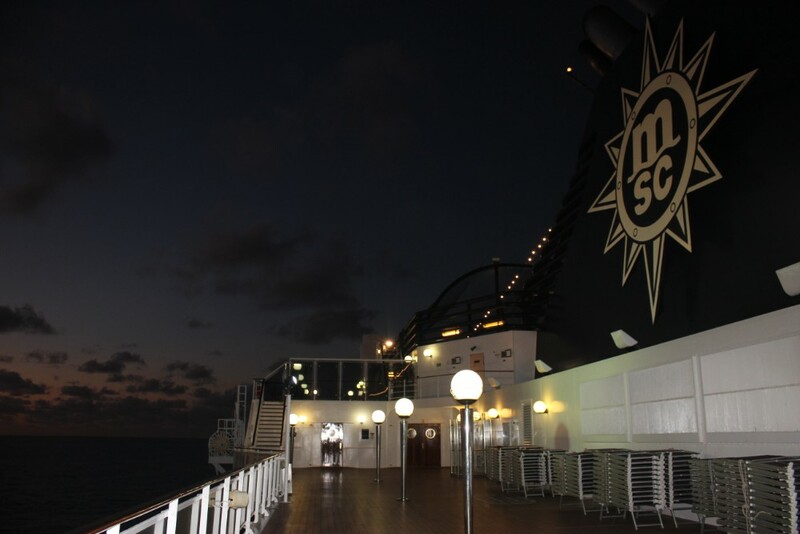 And then it was time for the true adventure to begin… boarding the MSC Musica at the Durban harbour. 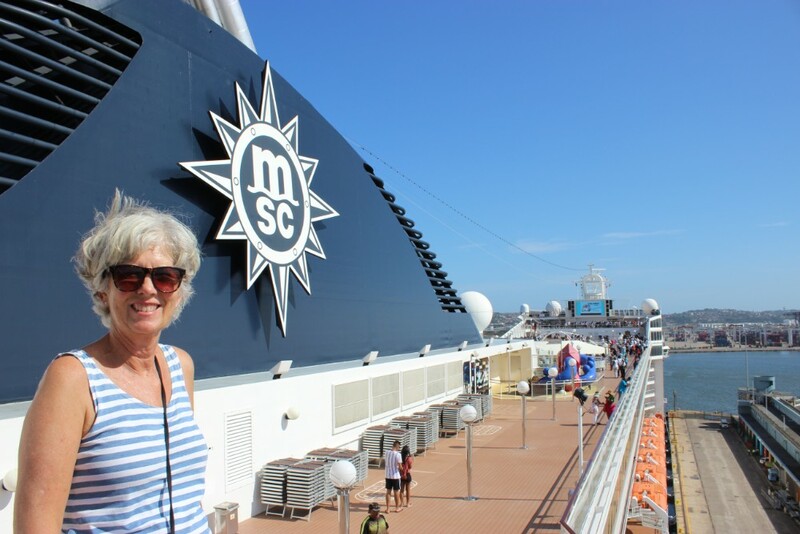 The MSC Musica is a thing of beauty and it was such fun taking my mom along as a first-time cruiser. 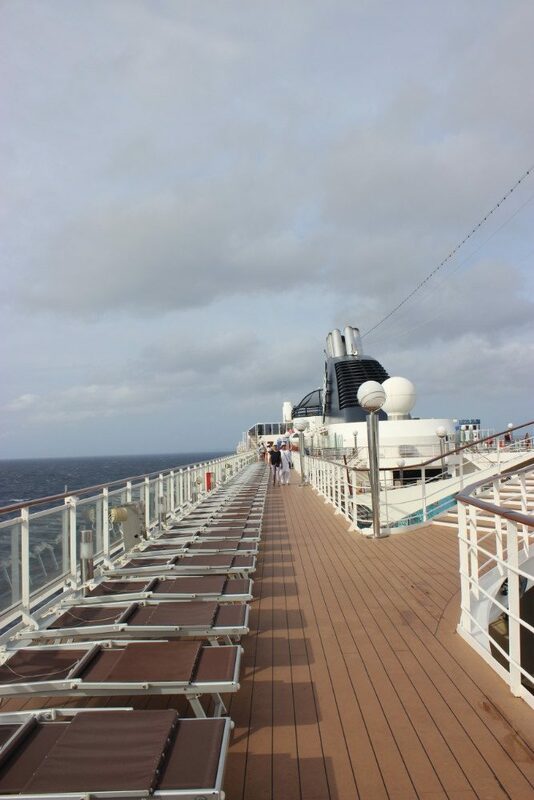 She was blown away by the sheer size of the ship as we stood on the dock ready to embark. 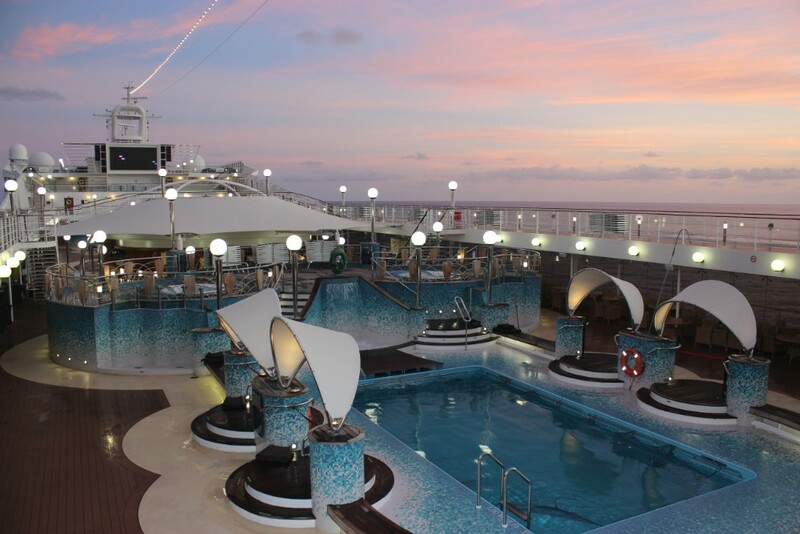 As soon as we were on board we discovered another world of elegance. 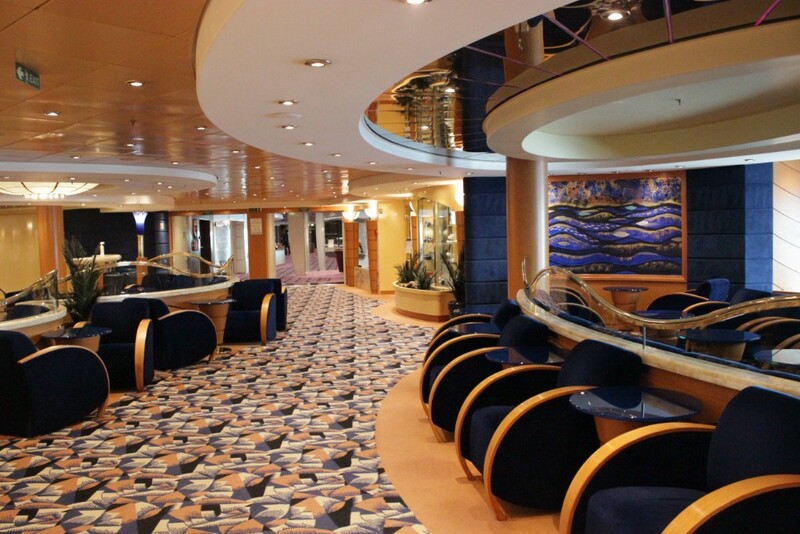 Sweeping staircases, plus carpets, endless entertainment options, this is a world of opulence and excitement. 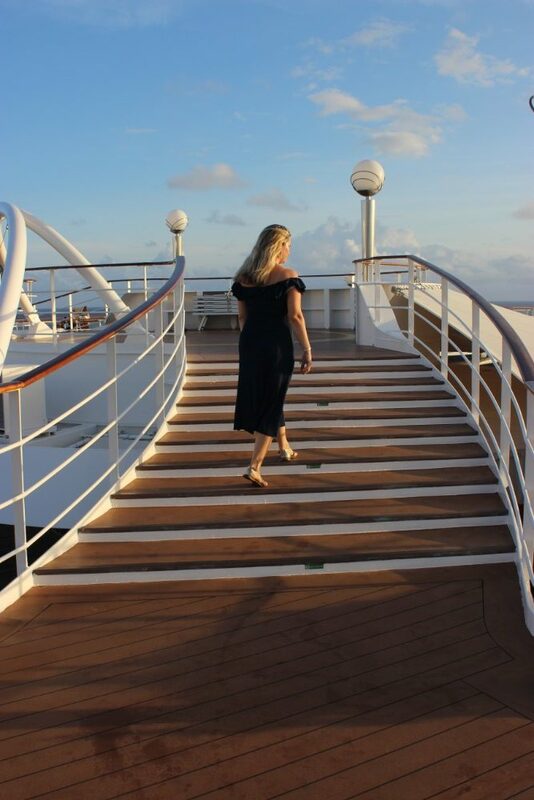 My mom was blown away – her first cruise, her first time on a boat at sea, her first 5 star luxury experience, her first mom & daughter holiday. Well, mine too! This was such a special opportunity for us both in fact. I hadn’t given it too much thought. But once I had invited her I realised just how much I wanted this experience with my mom. To spoil her, to see her relax and enjoy herself, to watch her without a worry in the world, to treat her to an experience with me that she will never forget. And I certainly won’t forget it too. It was such fun to get to spend quality time with my mom. I left home at age 21 when I got married, at the time my mom still had 2 kids living at home – age 18 and 15 so she was very much still in “mom mode”. Ever since then she has worked with little kids and it was only at the start of this year that her scheduled free’d up and she was able to take time off during the term time. This meant we were able to hang out as two adult women for an extended period of time – the first of it’s kind in our entire relationship. And it was SO GOOD for our relationship. I can highly recommend taking time out to spend time with a parent as an adult. 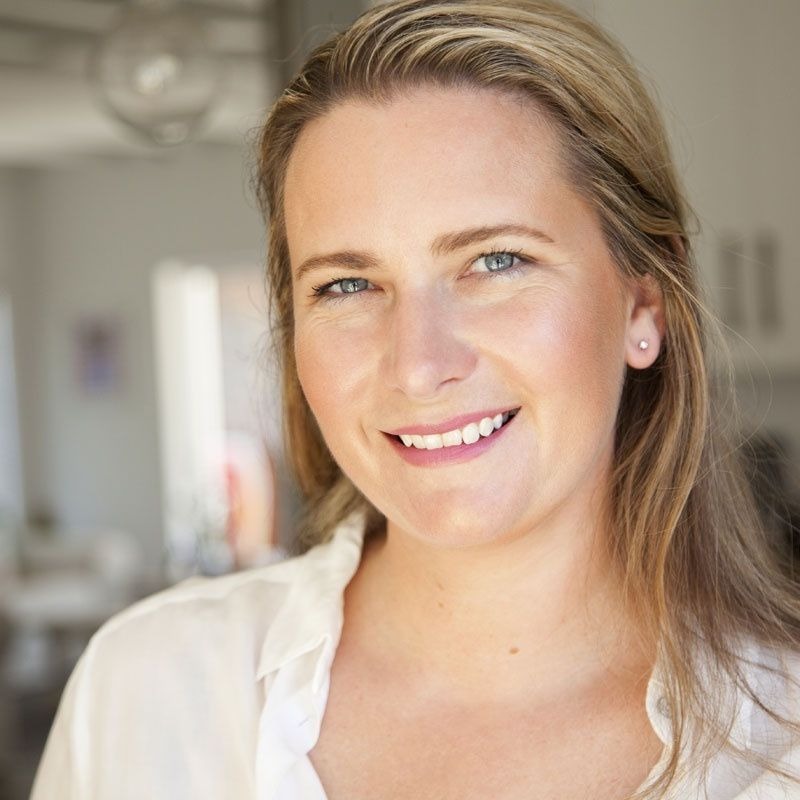 Prioritising the person or people that prioritised you for so many years of your life is something we don’t often do…. and it’s something that is worth so much. I loved creating memories with my mom. We had a brilliant time together. Catching up on the many conversations we’ve never managed to have due to “interruptions”. Having a laugh or simply enjoying quiet time in each others’ company. It was ALL worthwhile. On our first day on board we spent quite some time figuring out the “lay of the land” or ship! 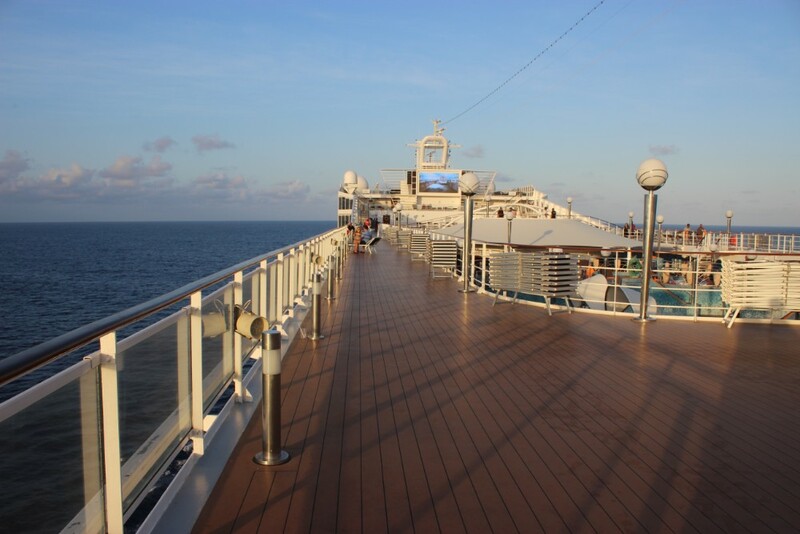 With 14 decks there was a lot to discover. 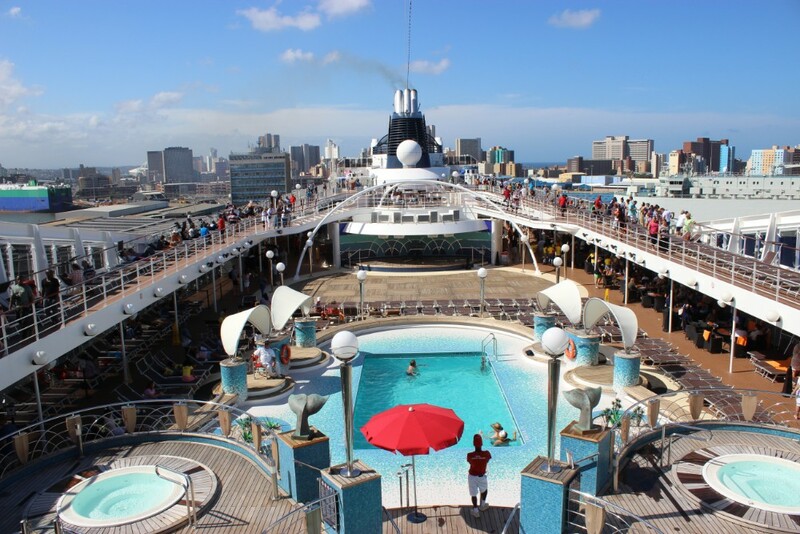 We loved meandering around finding new areas of excitement eventually finding ourselves up on the deck to wave goodbye to Durban docks as we set sail. 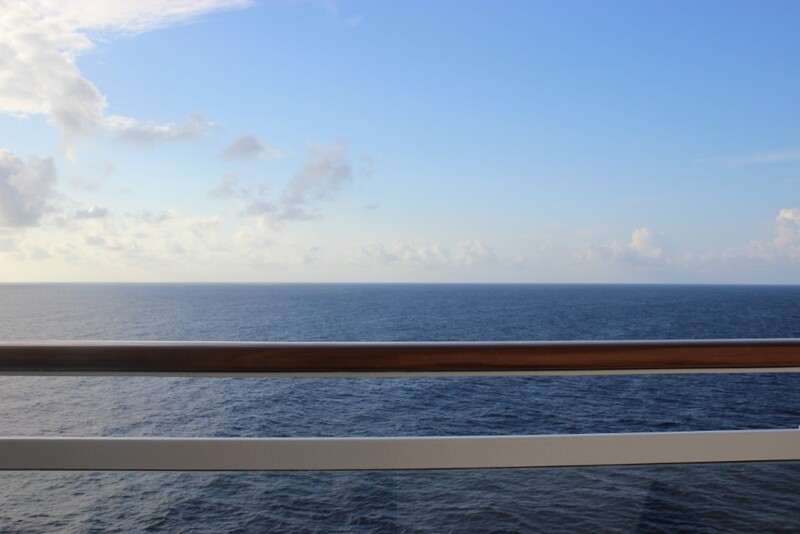 After enjoying the festivities of the Sail Away party on deck we were happy to escape to our cabin for a few quiet moments and a couple of zzzz’s. It had been a very early start and a very long day already! 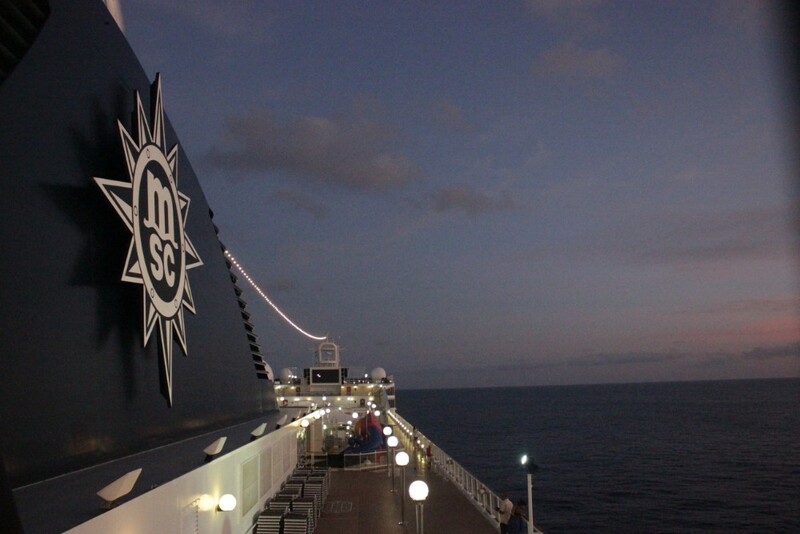 Having already cruised with MSC I knew the benefit of a balcony and, once again, it proved to be a winner. 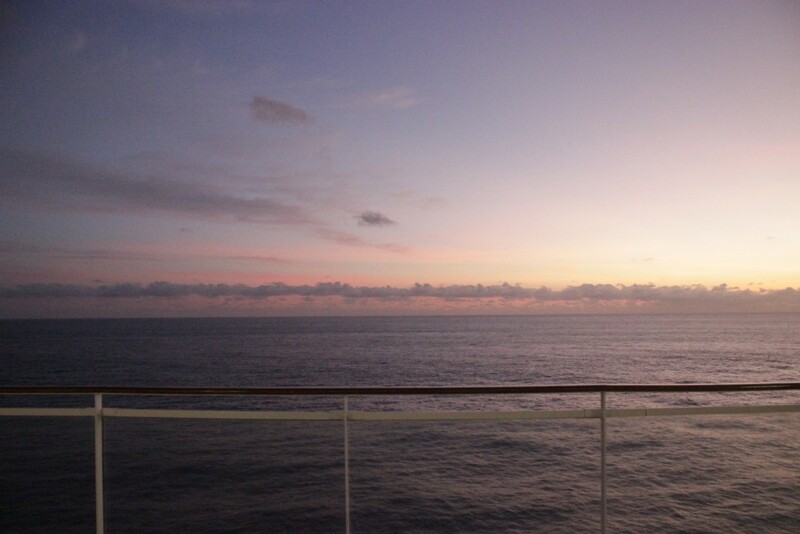 I would always recommend booking a balcony room on a cruise. 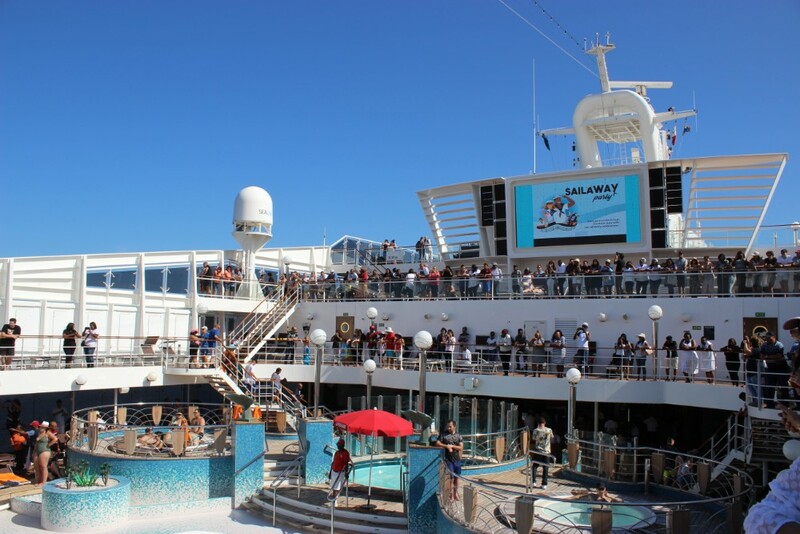 With over 4000 people on board the MSC Musica the decks could sometimes feel a bit crowded so having our own personal space to retreat to was well worth it. 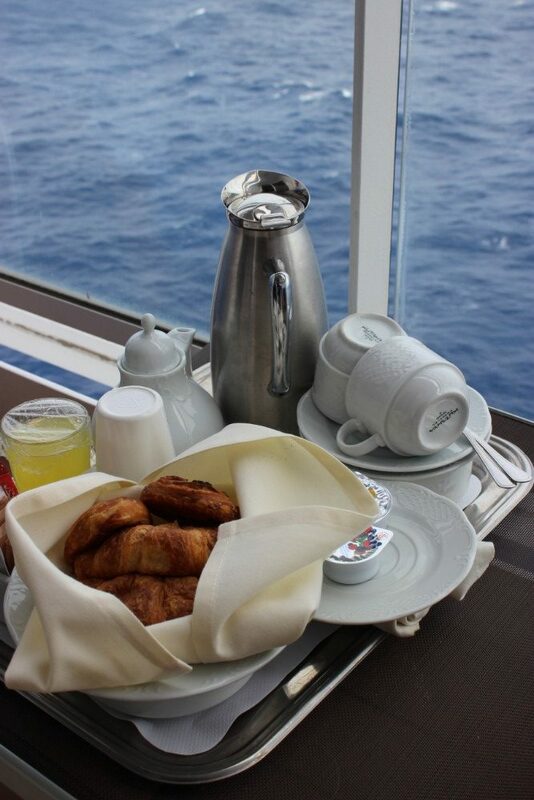 We enjoyed a continental breakfast delivered to our door and snoozing midday or at night with the door open, the warm tropical air (a novelty for Capetonians) and gentle rocking of the ship lulling us to slumber. 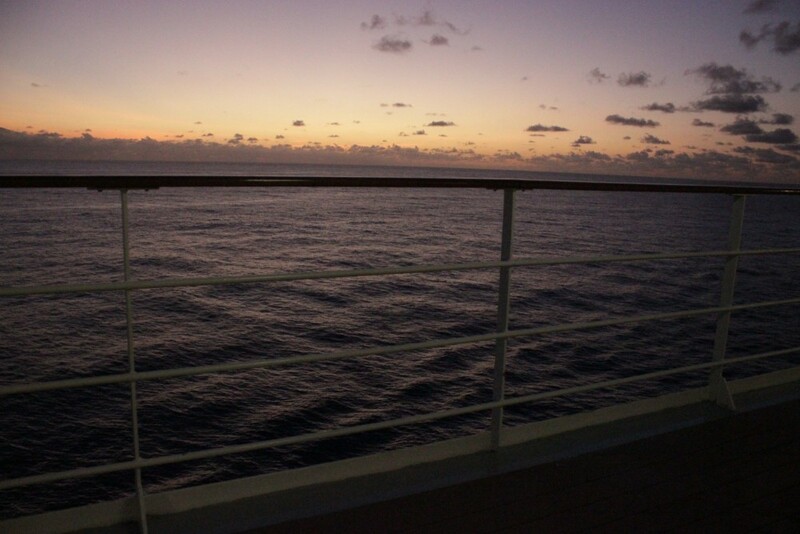 On that note I should mention something that concern almost every first time cruiser: seasickness. 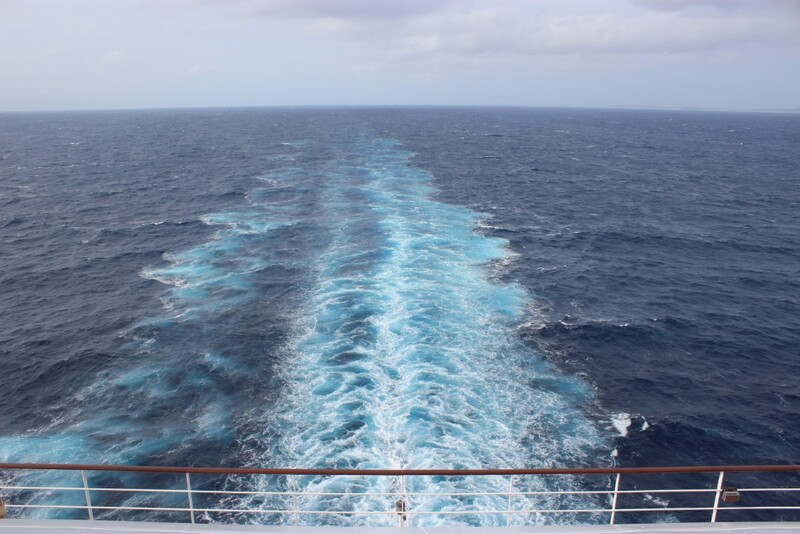 So many people mention to me that they love the concept of a cruise but that they were worried they would experience seasickness. 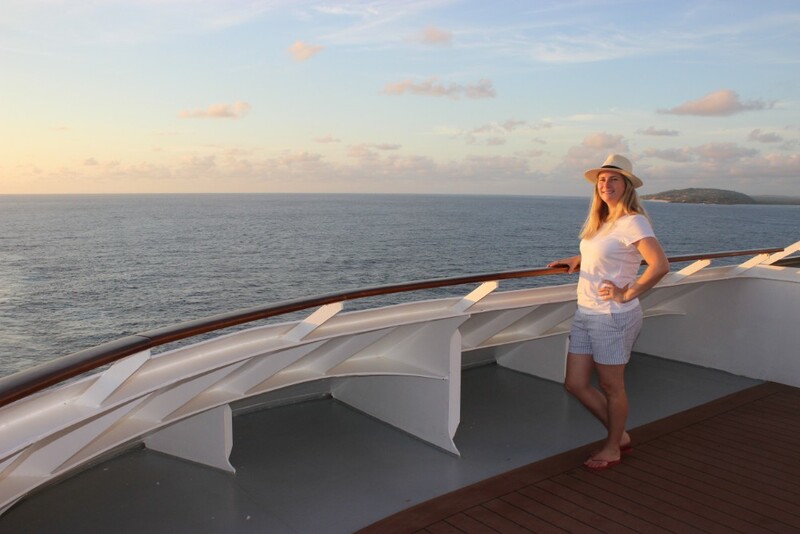 I was the very same person on my first cruise. 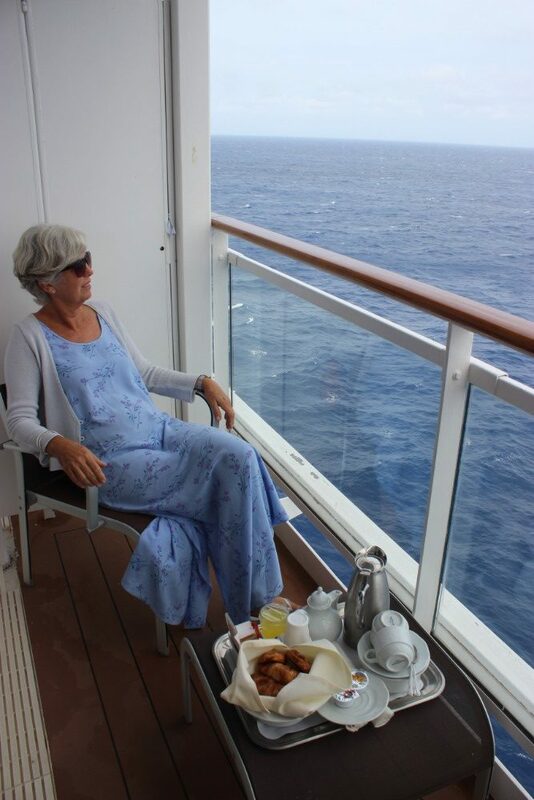 My mom was the very same on her first cruise. It seems to be a common concern. But it is a totally unfounded one. 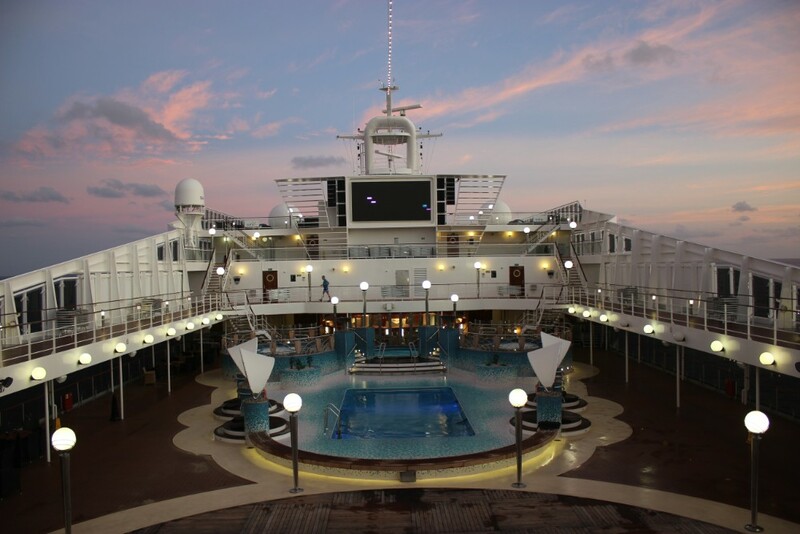 Neither myself, my husband or my mom felt nauseous on our cruises. 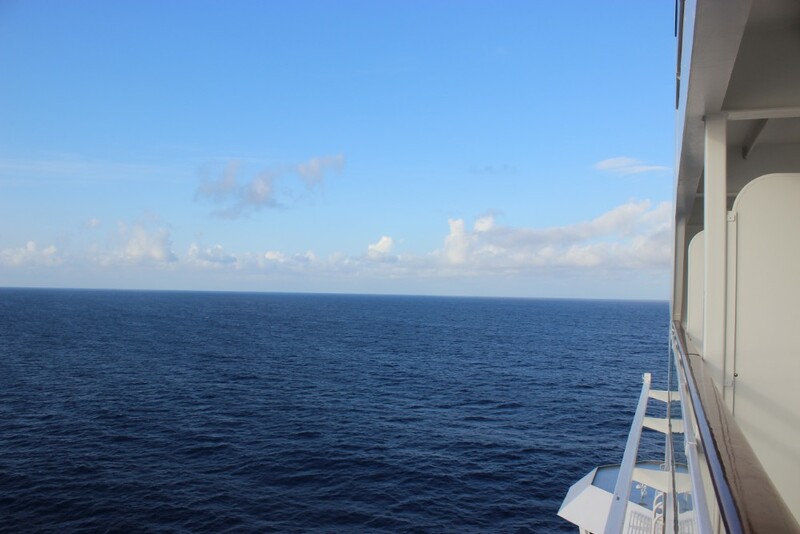 If anything we felt a little dizzy and disorientated on the first day on board as we got used to the gentle movement, but never nauseous. Our anti-nausea meds and wristbands went unused. 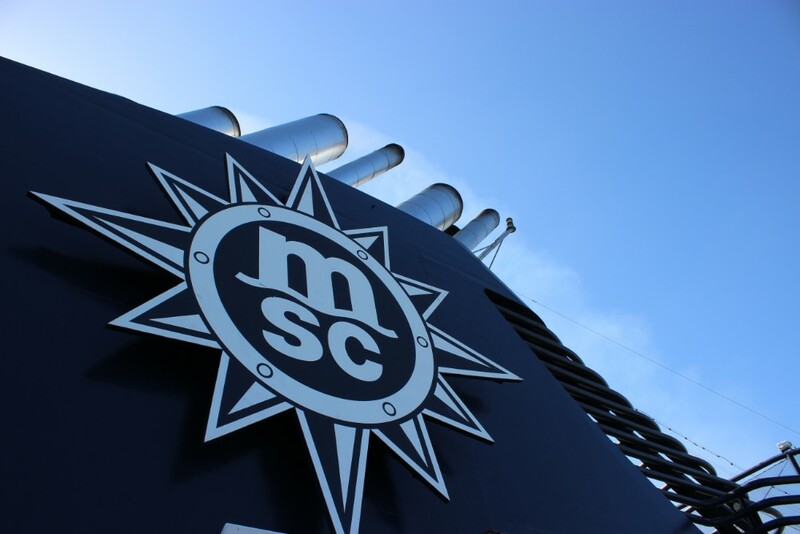 Having an afternoon nap is one of the guilty pleasures of a holiday… but with the MSC Musica being a destination in itself, we didn’t want to miss out on too much fun. My mom very quickly got into the swing of things and would check out the daily itinerary each evening when it appeared on our bed, plotting and planning her daily activities to ensure she did EVERYTHING. 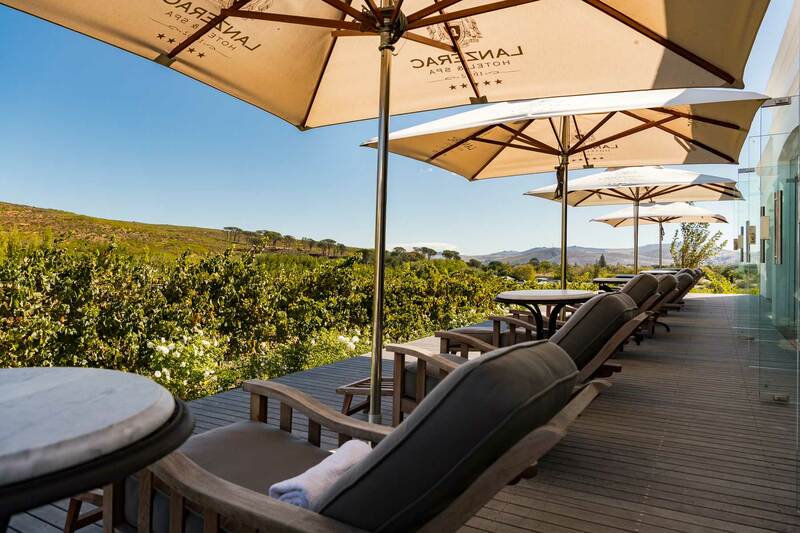 Her initial anxieties about the trip were long distant memories as she flung herself headlong into enjoying this once-in-a-lifetime experience with vigour! It was hard to keep up! Once my mom got going she wanted to do and see it all. 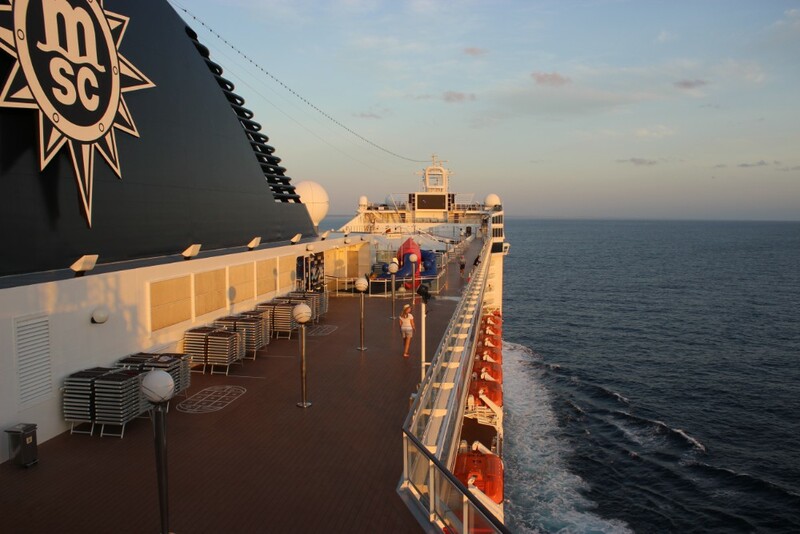 And there is a lot to do on board a cruise ship! 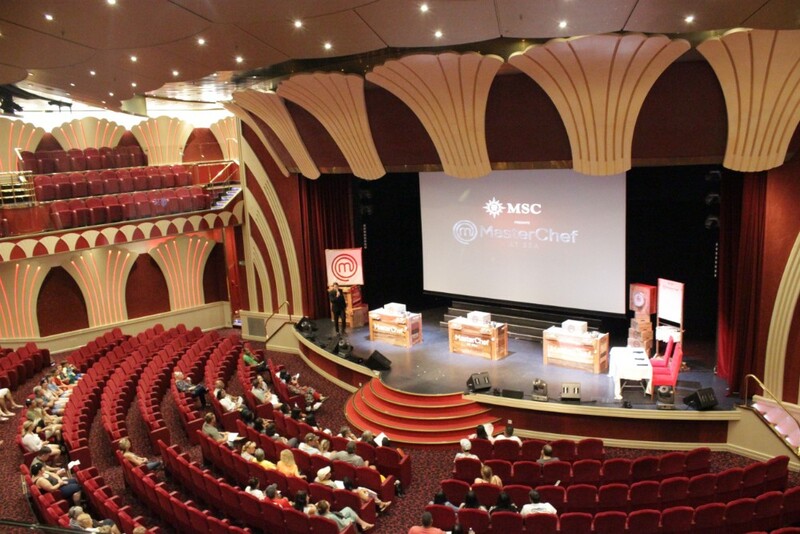 We enjoyed early morning strolls along the deck, foodie fun with MSC Musica Masterchef (a first exposure for my food loving mom), trivia quizzes, Italian lessons, Bingo games, Jacuzzi time in the Spa (another first). 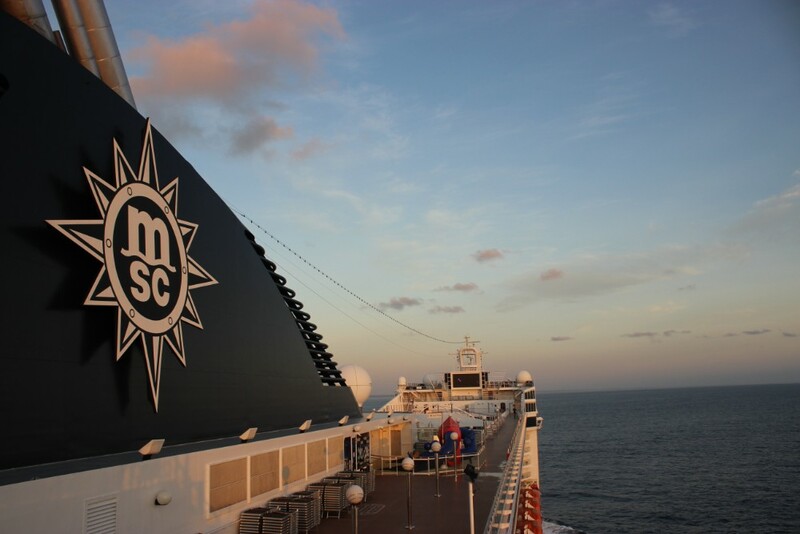 Other activities on offer on board the MSC Musica include mini golf, tennis, basketball, virtual games, bowling lanes, children’s activity clubs, a gym, a power walking track, and a Balinese spa with a steam room and sauna. 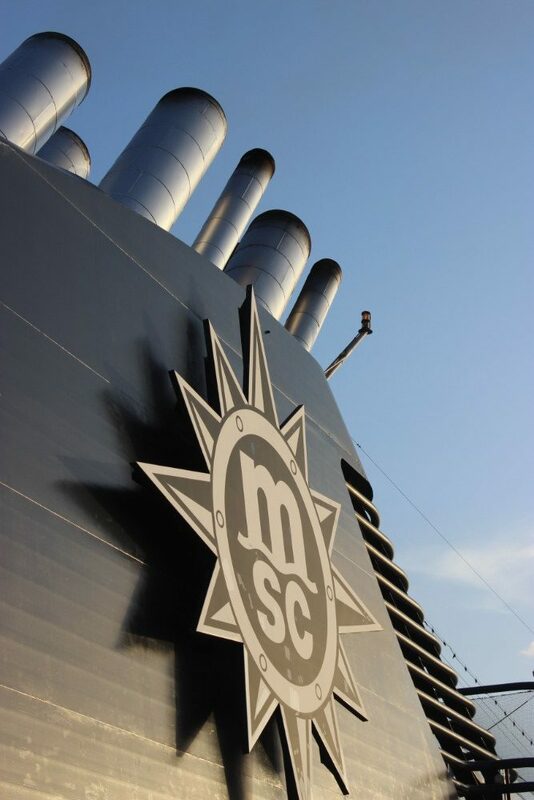 MSC Musica also has exciting nightlife, boasting a casino, bars, dance floors, a cigar lounge and a wine tasting bar. 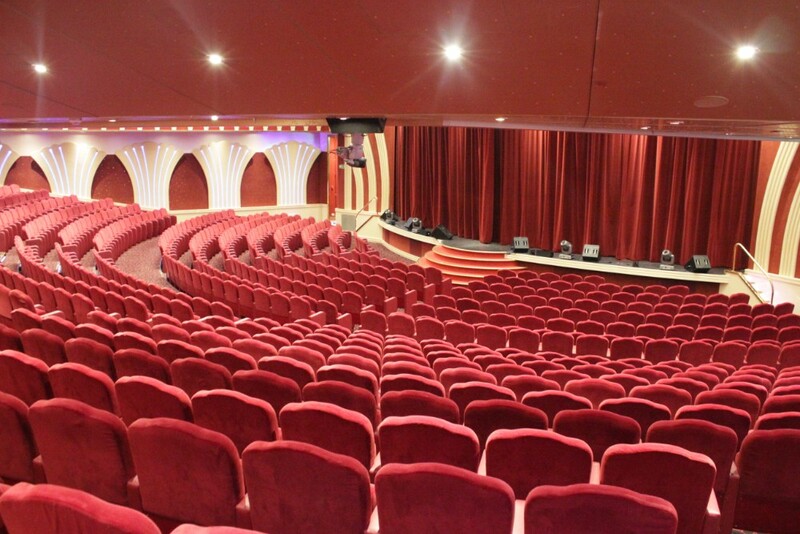 We loved the evening theatre show which has two showings every evening to accommodate both dinner seatings. 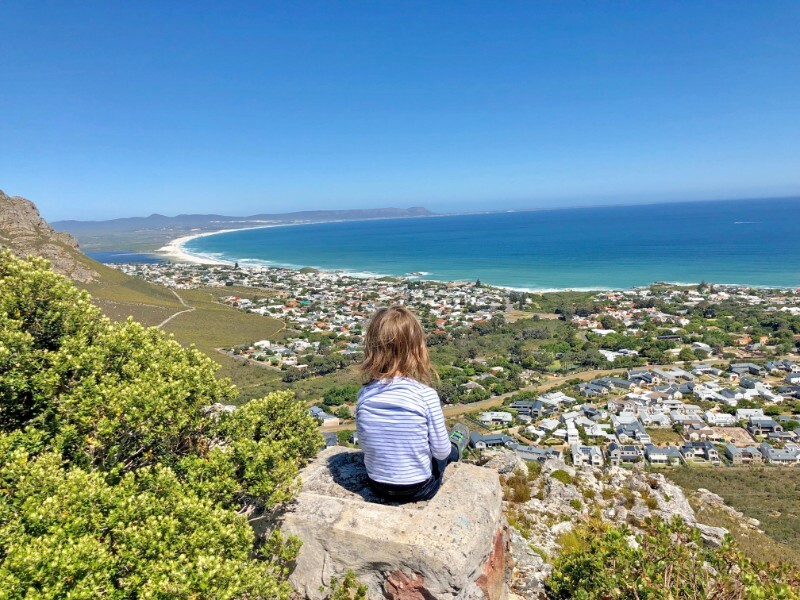 Her string of firsts continued as I recruited her to become an “Instagram Mom” so I could at least appear in a few of our photos…. First I had to show her how to take photos on a phone! Yip! I think she did ok considering!!! 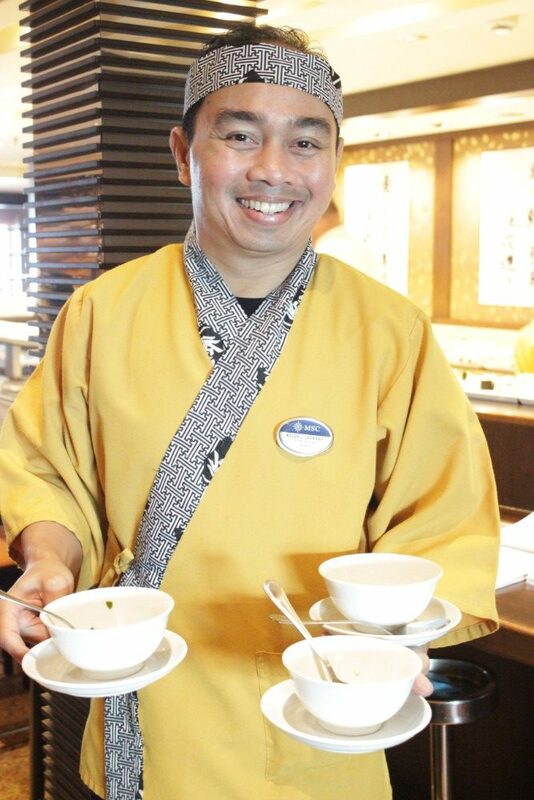 Dining options include an á la carte Italian seafood and steakhouse restaurant, an authentic Japanese sushi bar, two formal dining rooms, and an all-day world cuisine buffet and pizzeria. Most meals we enjoyed in the Italian themed restaurant where we had a set table at the first dinner seating (at 18:00 followed by another seating at 20:30) Another food option is to visit the all day buffet which was great for any additional hunger pangs you may experience, esp the pizza slices available ’til the wee hours! The food was generally good, albeit catered for on a large scale. Think over 16 000 meals per day! 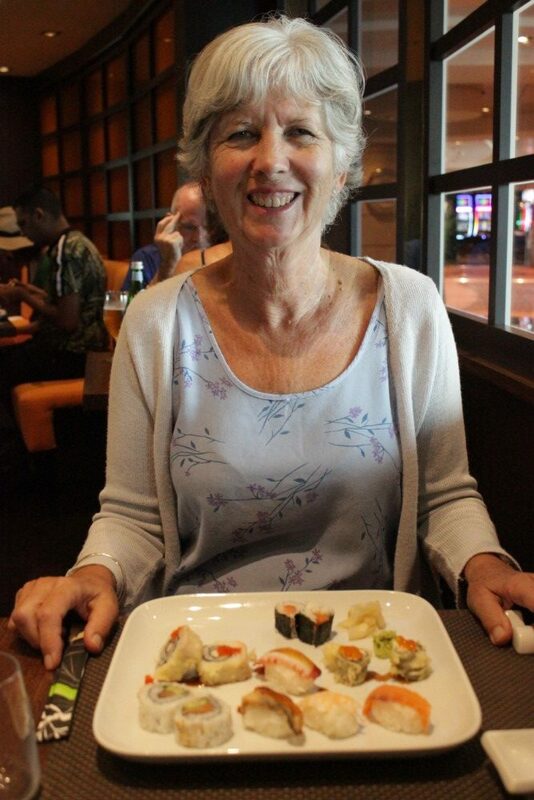 One of our favourite meals, however, was our visit to the Sushi restaurant where my mom enjoyed another first – her first taste of sushi! Well, the truth is that between raising a family and working a job she hasn’t been able to broaden her horizons much. 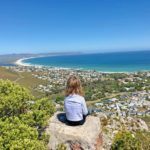 She’s gone through a fair dose of hardships too that have curtailed her adventurous spirit… it was such fun seeing her let loose a little more everyday and embrace the new experiences around her – including shots of limoncello, sundowner cocktails and a sushi platter! Turns out she quite enjoyed them all, despite YEARS of trepidation! 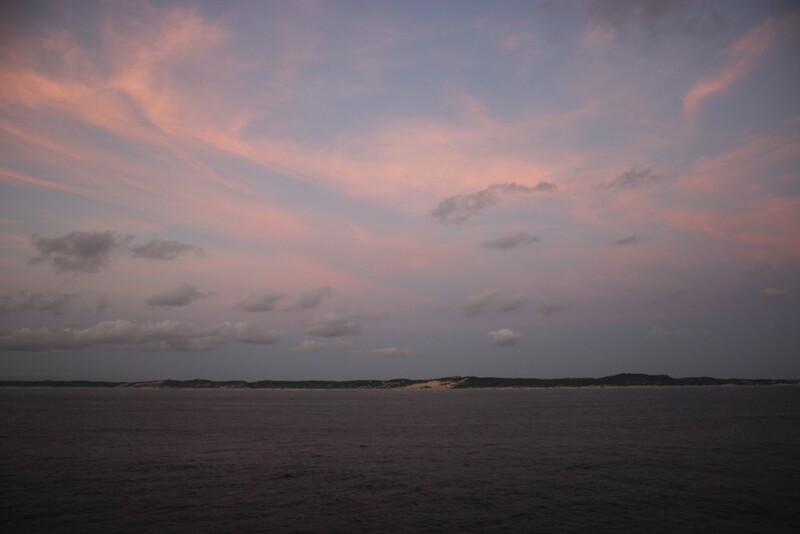 One of my favourite moments on board the MSC Musica was the morning we were set to disembark at Pomene, Mozambique. 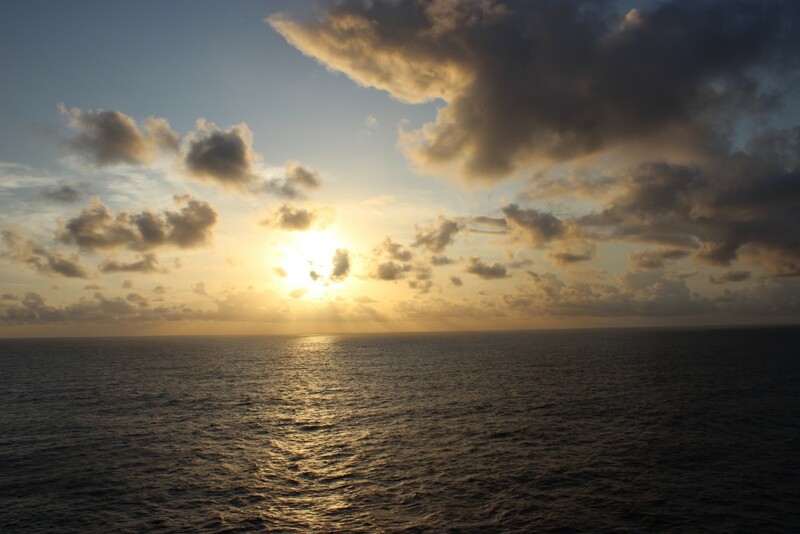 I knew we would want to get morning early in order to be one of the first to get off the boat, so I set my alarm for even earlier than usual. 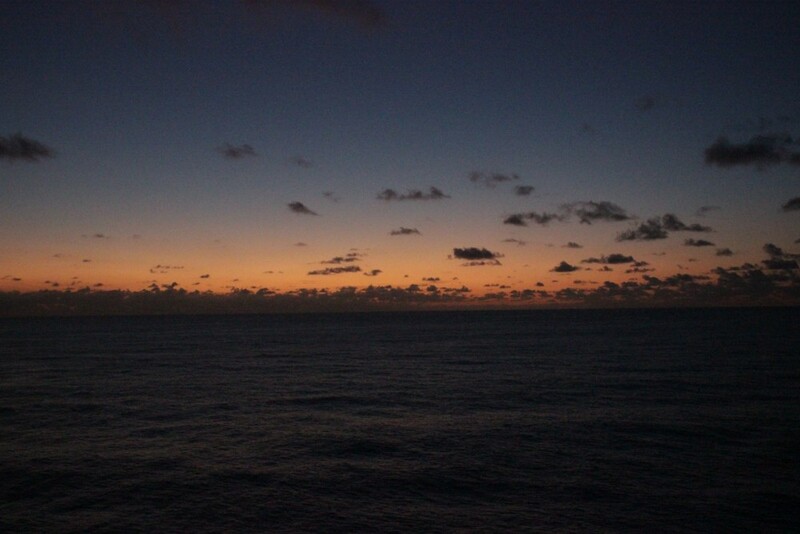 Before Sunrise! 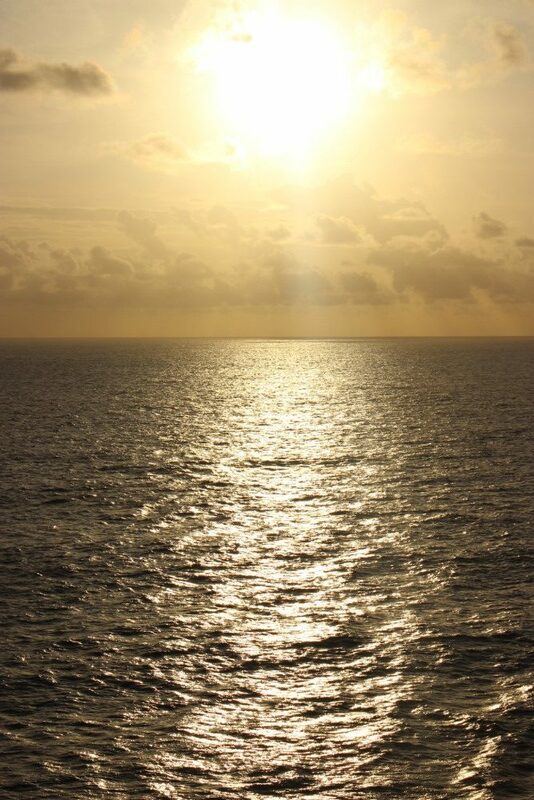 Sunrises are special. They aren’t as celebrated as sunsets over on the ‘gram because not many people want to rise before 5am BUT it’s for this very reason that I knew it was something I had to do. 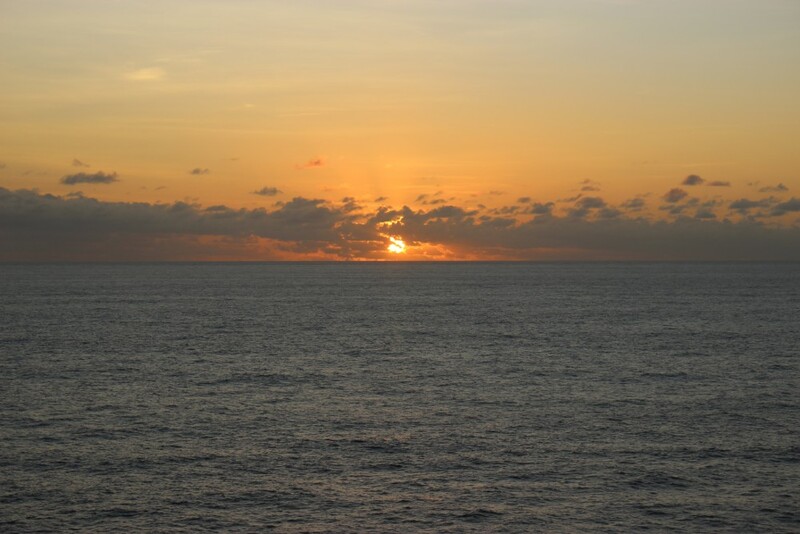 Watching the sunrise over the ocean while out at sea isn’t something that happens everyday for me and I knew it would be a memory that would stay with me forever. I wasn’t disappointed! 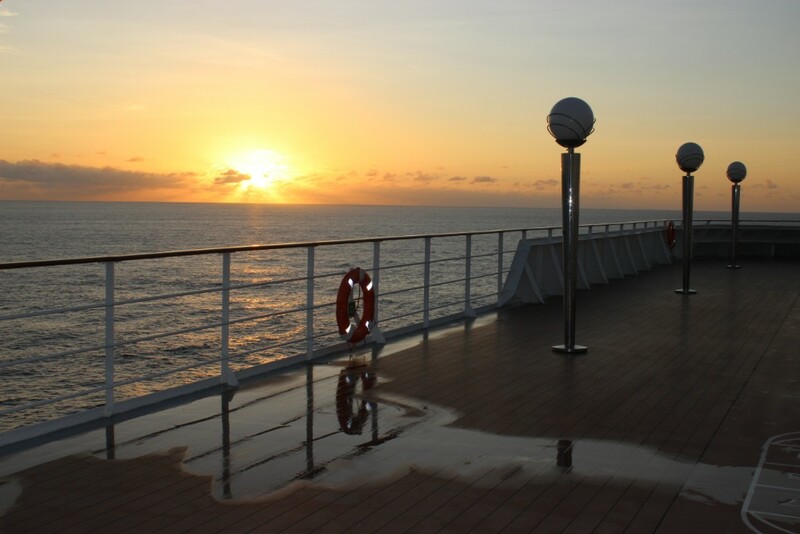 Only a handful of photography enthusiasts, a couple of joggers, a few late-night revellers on their way to sleep it off and an loved-up couple who’d made their bed under the stars were awake to keep me company on deck at 5am. 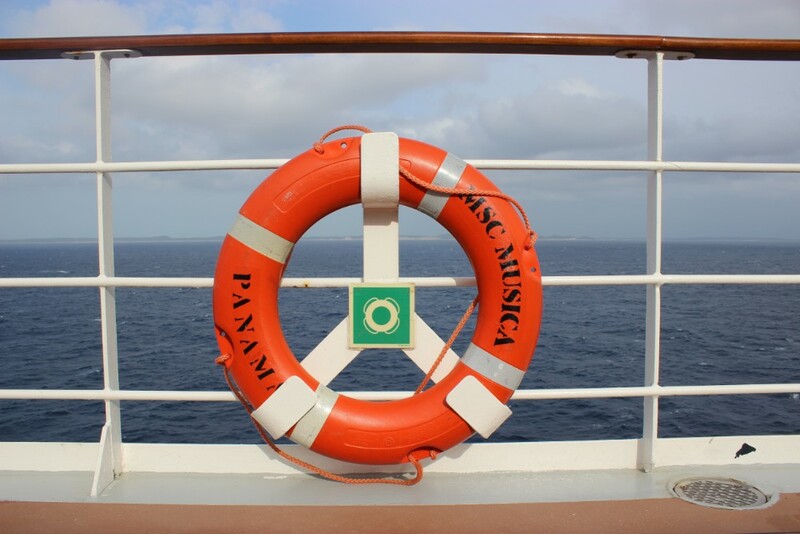 I can highly recommend this as an not-to-miss experience on board any cruise ship. 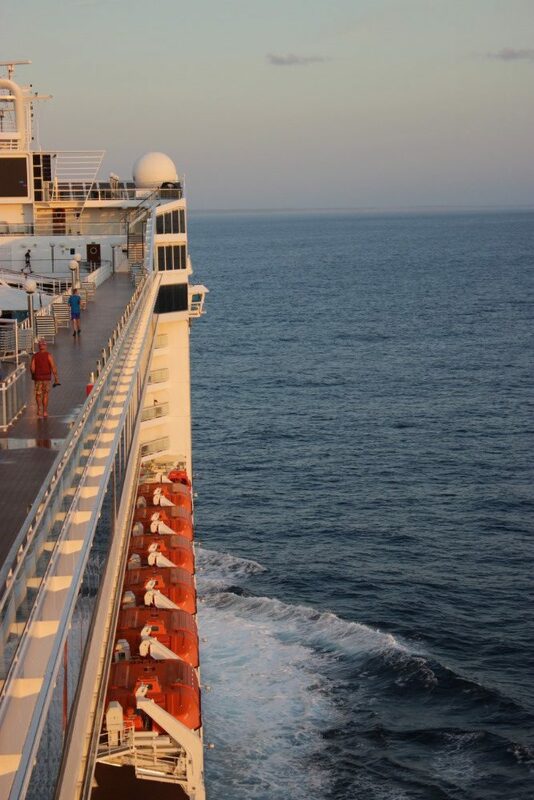 I can guarantee that it will stay with you as one of your favourite moments on board. 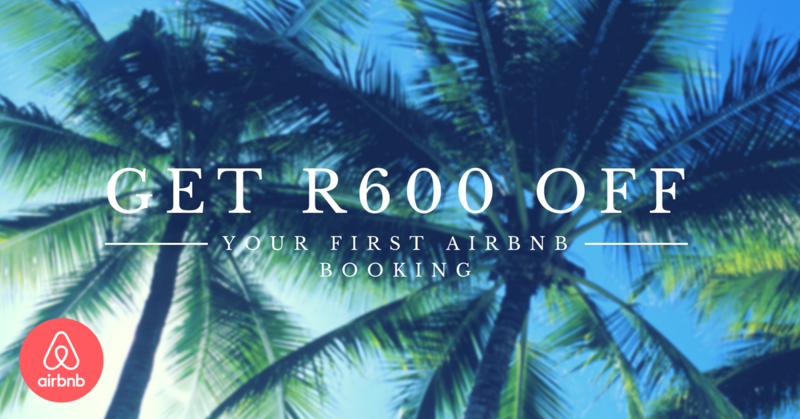 And then it was time to hustle, grab a bite of breakfast from the buffet, pack our bags and head off to our waiting area with our priority disembarkation number all set for a day to explore Pomene, Mozambique – my mom’s first tropical beach experience and visit to Mozambique! But more of that in my next post coming soon….